What's new in the world of aviation training technology? What’s new in the world of aviation training technology? Aviation training technology is developing fast, providing a myriad of new learning options for staff across the sector. Technology will contribute greatly to the knowledge base of the next generation of aviation employees, defining their capabilities and overall approach to their roles. Let’s take a closer look at aviation training technology and the latest developments in this field. In an industry as advanced as aviation, training technology is a necessity. 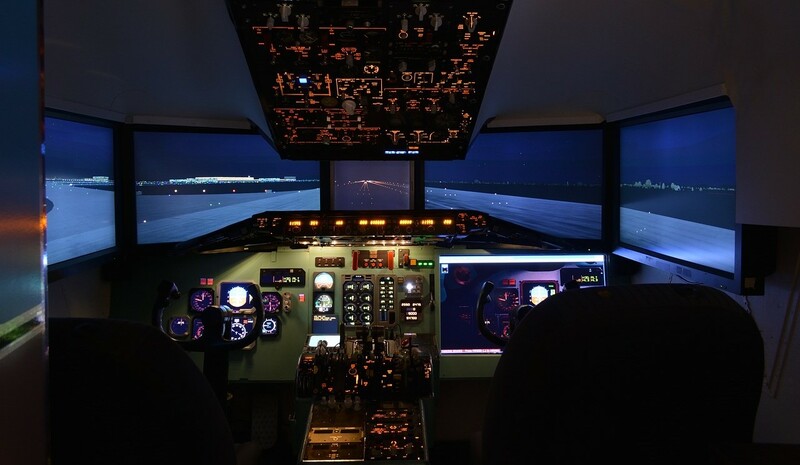 Provide realistic training: From flight simulators to fire simulators, aviation training technology teaches staff how to react in realistic scenarios before they face real-life situations. Analyse performance: Technology enables a trainee’s performance to be benchmarked and monitored, to ensure they are equipped with all the skills needed to work in aviation. Increase retention: Investing in training technology demonstrates a commitment to supporting staff. Opportunities for future development also act as an incentive for employees to stick around. Support new generations: Millennials and other young people have grown up relying on technology. Training with technology is both more appealing and relevant to younger generations. With so many potential benefits, it’s clear why so much effort is going into developing new aviation training technology. What new types of aviation training technology are coming to the fore? Redbird MCX is a full-motion simulator that allows trainee pilots to look in all directions, and their classmates to analyse their performance live from the next room. A host of free, or inexpensive, simulators have also hit the market. This includes the desktop-based FlightGear system (also open source), X-Plane and Microsoft Flight Simulator X. In addition to these, a Singaporean company is developing a virtual reality flight simulator. IATA has even created a simulator for senior airport managers. The Airport Strategic Management with Business Simulation replicates realistic operational scenarios, challenging prospective managers to use strategic planning to assure positive outcomes. IATA has also taken the lead in the eLearning sphere. Launched in collaboration with Harvard Business Publishing at the end of 2015, Harvard ManageMentor utilises an innovative ‘virtual classroom’ model. Students are divided into cohorts and asked to attend workshops and live training sessions at set times. Video conferencing and web-chat capabilities ensure students can ‘attend’ from anywhere in the world. This also significantly reduces training costs. The international aviation governing body has also used eLearning to establish new courses and online exams for future Travel and Tourism sector employees. Private companies, such as Swiss Aviation Training, are using this method to offer training for pilots and cabin crew (including CRM and MCC), as well as maintenance personnel. Sound complicated? At AeroProfessional, we keep up-to-date with all the latest developments in aviation training technology, so you don’t have to. This ensures we can find you the most highly-skilled applicants quickly and conveniently. Get the professional insight and hiring capacity you need to recruit the next generation of talented aviation staff by calling on the expert AeroProfessional team.